NEC on the Run is the official app of NECFrontRow.com, the state-of-the-art digital network of the Northeast Conference. Watch live events and on-demand content on your iPhone and iPad with FREE, one-click access to your favorite NEC schools and teams. The app gives fans inside access to the NEC and its student-athletes on the field, in the classroom, across campus, and in the community. 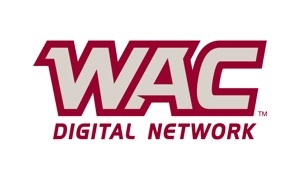 - Live coverage of all NEC football, men's basketball and women's basketball home games, and most men's and women's soccer, women's volleyball, men's and women's lacrosse, baseball and softball games. - On-demand video includes highlight packages, features, coaches shows, original programming and access to the NEC's extensive digital library. - The ability to interact with your favorite school via social media with Twitter and Facebook integration. Now in its 34th year, the Northeast Conference is a National Collegiate Athletic Association Division I conference consisting of 10 institutions of higher learning located throughout six states. Media coverage of the NEC extends to four of the largest markets in the United States - New York (#1), Pittsburgh (#23), Baltimore (#27), and Hartford/New Haven (#30). Founded in 1981 as the basketball-only ECAC Metro Conference, the NEC has grown to sponsor 22 championship sports for men and women and now enjoys automatic access to 14 different National Collegiate Athletic Association Championships. NEC member institutions include Bryant, Central Connecticut, Fairleigh Dickinson, LIU Brooklyn, Mount St. Mary’s, Robert Morris, Sacred Heart, St. Francis Brooklyn, Saint Francis U and Wagner. For more information on the NEC, visit the league’s official website (http://www.northeastconference.org) and digital network (http://www.necfrontrow.com), or follow the league on Twitter, Facebook, YouTube, Instagram and Google+, all @NECsports.